Research indicates that e-mail communications can be an indicator of an employee’s incentive/pressure, opportunity, and rationalization – the three sides of the Fraud Triangle. We can’t stop the onrushing technology revolution or resulting dangers, but we can resist sloppy security measures that allow serious data breaches. Don’t be your own worst enemy. Here’s help as you work to protect your organization’s privacy. 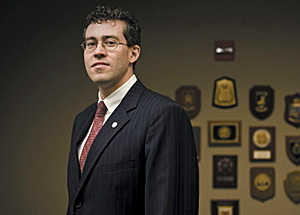 James H. Freis Jr. wants to bolster FinCEN’s ability to consolidate information from scores of law enforcement agencies and financial institutions to find fraud around the United States and the globe. U.S. nonprofit organizations, unlike publicly traded companies, don't have to comply with the Sarbanes-Oxley Act. But they could deter fraud if they emulated SOX's best practices. Here's help for nonprofits that want to construct anti-fraud programs. Some public utility companies still have a skewed set of incentives. As CFEs, we can help deter fraud and mitigate some of the inefficiencies with many of the same methods we've used to solve dilemmas for other industries in the past.